Christmas Around the World was designed with YOU in mind. 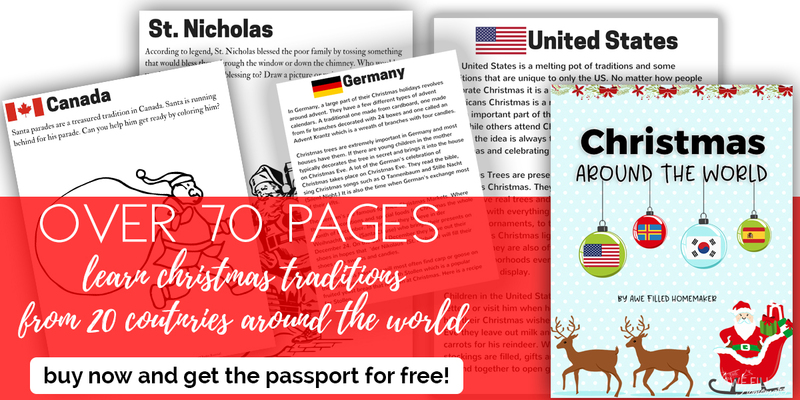 This Christmas season, use this study to teach your kids about Advent, St. Nicholas, The Birth of Jesus Christ and Christmas traditions all around the world- covering 20 different countries! 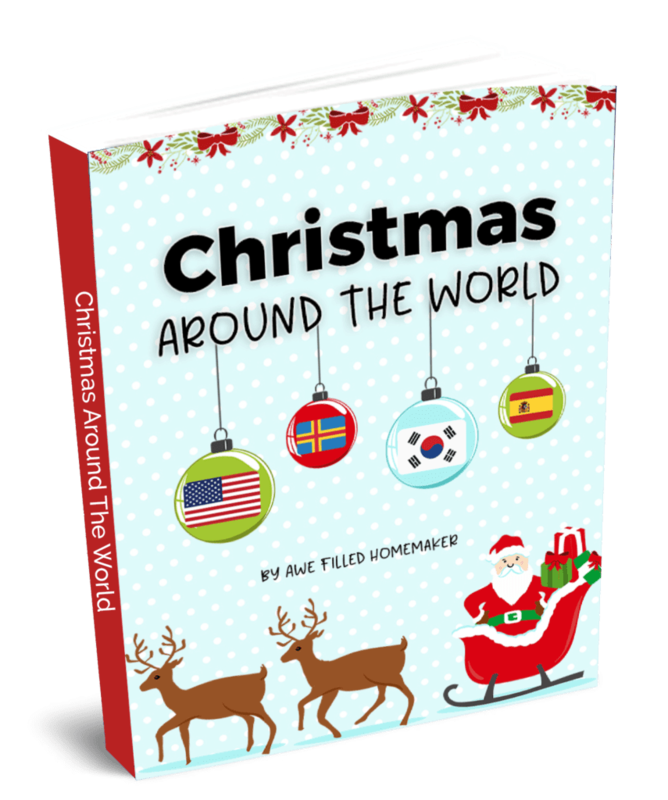 Take your schooling to another level this year and teach your kids all about Christmas traditions – worldwide! 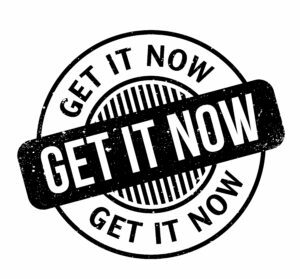 PLUS – for a limited time, you will get the Christmas Passport for FREE!!! 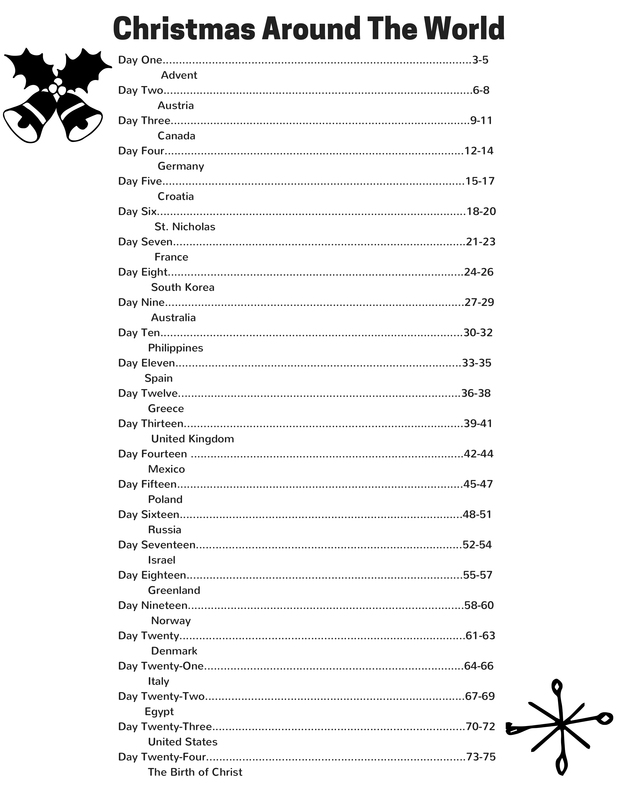 This is a great way for you kids to feel like they’ve visited all the different countries. 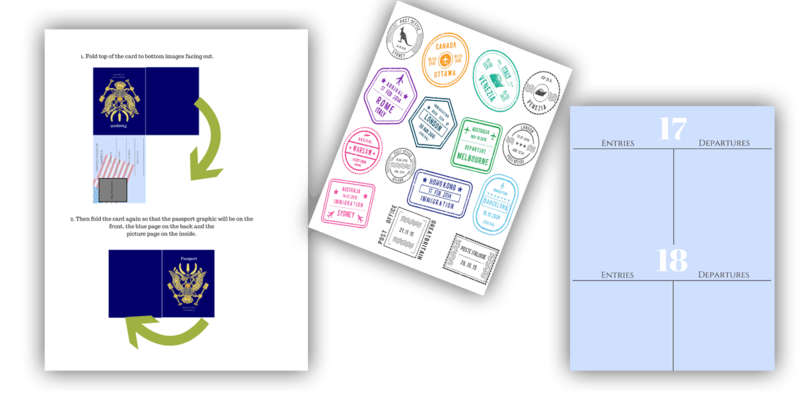 Print out the passport and stamp it once you’ve learned about the Christmas traditions from each country!